Is there any reason to install the DCH version instead of the standard one? 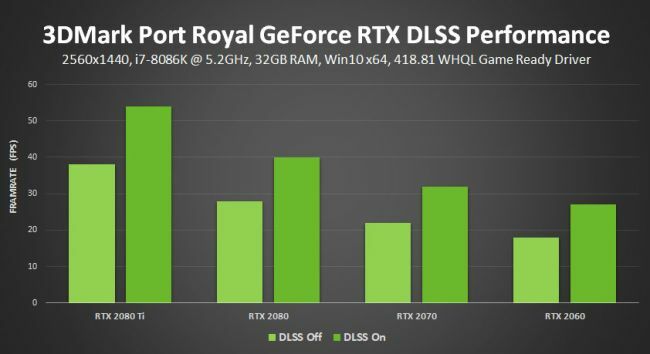 This is a performance optimized driver for 3DMarks benchmark as the optimizations for Battle Royale has carried over to all the 3DMark benchmarks also - Got a Boost of 85~100 points in Battle Royal , 3DMark Timespy and Firestrike using the same settings and tested against all the past drivers available for RTX video cards. I also got a boost in fps on the games i play FH3 , FH4 and NFSMW. Fastest drivers released so far , highly recommended for a boost in performance. Enjoy it ! TTomax and DJ B. like this. Was expecting to see more than just Gsync/SLI fixes... Guess I'll be skipping this one. Not really. You'll just have to install Nvidia Control Panel manually from the Windows Store instead. Don't bother. Some brand new laptops are required to use DCH drivers but it will probably be years before desktop PCs need to use DCH. chispy, pharma and Cave Waverider like this. if thats all you got, i think you might be missing something? oh i see . .
Lol who cares about this benchmark. I would rather see rtx fx and dlss in games as promised..
HonoredShadow, Amaze, Darren Hodgson and 4 others like this. This driver is solid and performance seems optimal for the games i tested including R6 Siege, SOTTR, NFS Payback, BF4, BF5 & the devision DX11. Not sure, but have there been any changes in the release dates for upcoming games? I think Metro Exdus is still on schedule for Feb. 15. Edit: Anthem SLIprofile works great in Battlefield V !! Anyone tested if DSR is working with these? Which driver do you find optimal? Only recently got a 1080 and would like to play around with drivers for it, thanks. I'm gonna give this driver a go though. Gonna skip these anyway, wait for hotfix, lol. There is a DSR issue with the 417.71/418.81 drivers with certain monitors. Those of us with the LG 34UC79G-B for example. Gsync works, but DSR is not functioning. ManuelG has reproduced this issue, and says on the next set of drivers/hotfix, the issue will be fixed. Runs the same on my 1080 compared to 416.94. BF5 seems to run the same also, didn't noticed an increase in temps. Was just a quick round though. For the clocks I use msi afterburner, but running firestrike gave me the impression this driver loosens the gpu clock, resulting in a slightly lower boost clock. Just an impression though, scores in firestrike are a tad lower. But not by much. Overall running good. Will do some more testing tomorrow. "edit" nah, same boost clocks in BF5. Maybe after a reboot you wont have this issue. Or else use MSIAfterburner to set your clocks in a 3d profile, that runs when you fire up a game or benchmark. Was hoping this driver release would fix the occasional dwmcore.dll crash I'm getting, but it looks like it's still present.